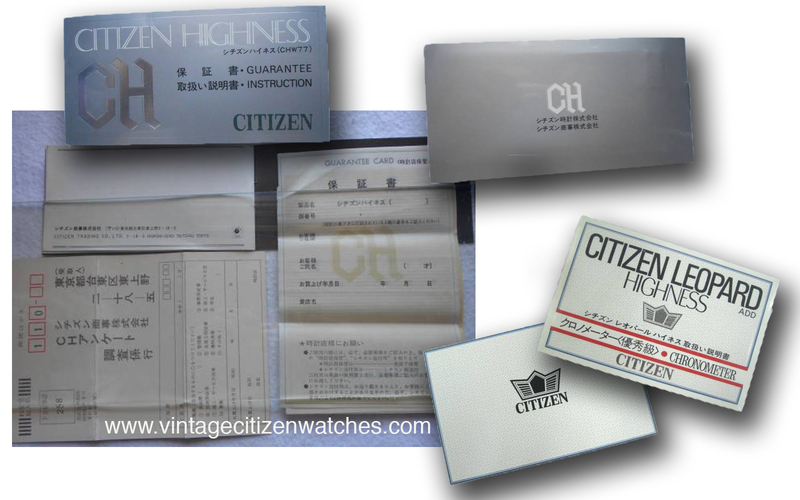 Citizen Highness… nice name that must stand for something! Well.. it does! 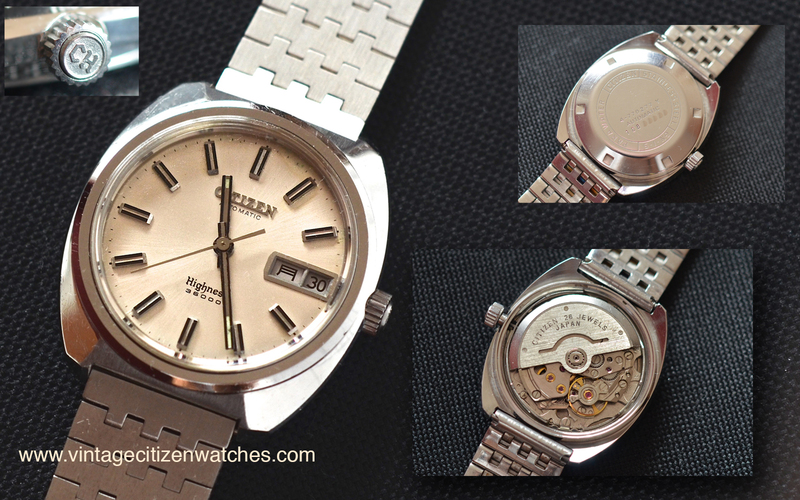 Citizen made this as a high grade variant of the Leopard line and has a chronometer level of accuracy, Highness grade. This was achieved due to a series of factors, including the fact that is a high beat piece, running at 36,0000 bph. The case is made in stainless steel, with brushed 6 and 12 o’clock surface and the rest being polished. The case back screws into place and is made of stainless steel too. It is marked Parawater and 4-770277 Y. 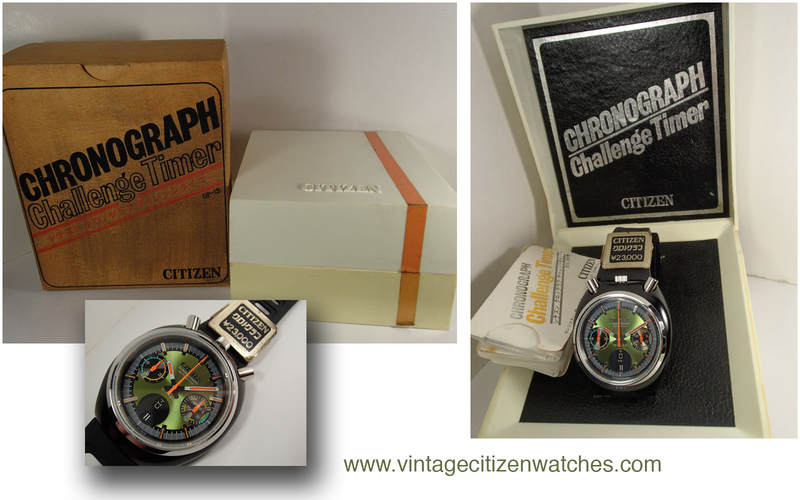 The serial no dates this watch August 1971. 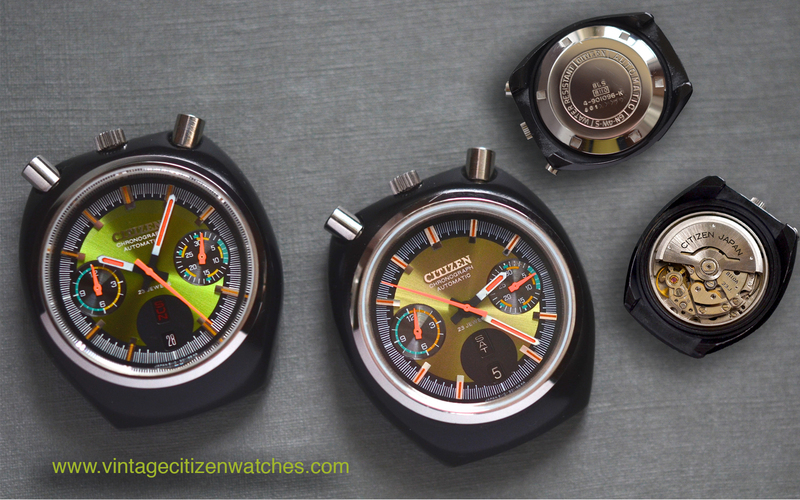 The mineral glass is flat and has a beveled edge, as usual with Citizen. The most interesting fact is the crown, signed CH and made of two parts, an inner one and an outer one. 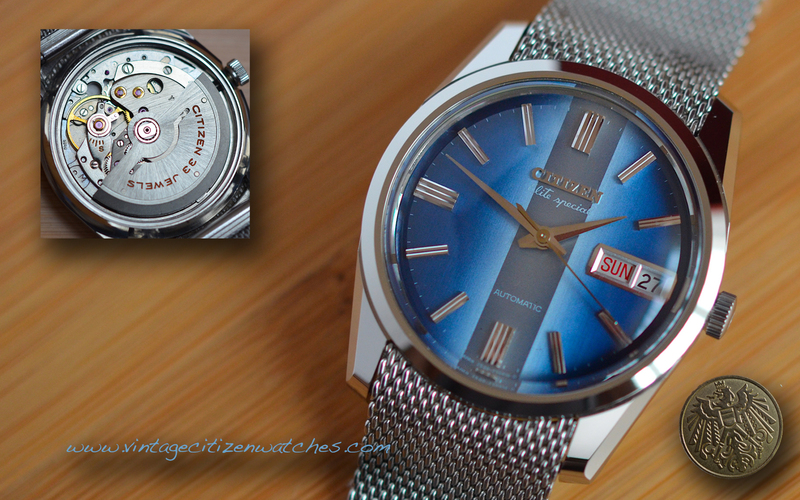 This is very important because this watch has a very uncommon feature. So… let’t talk about the way it functions! 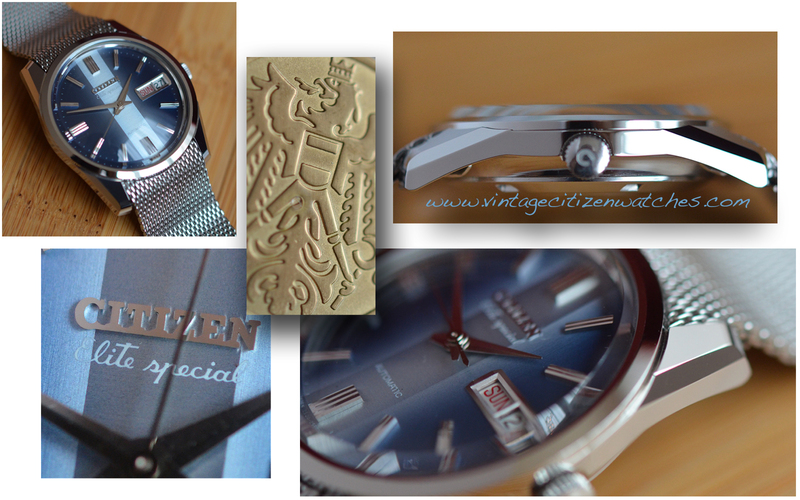 The movement is the Citizen 7730 calibre, 36,000 bph, with 26 jewels and day and date display. It is an automatic one and hand winding also. The movement can be winded in the first crown position. Pulling it out a position, will set the time. The seconds hack for exact time setting. Push the crown back into first position and be ready to set the date and the day. How to do that? Just push the button (the inner part) of the crown. Yes, the crown is itself a pusher! So, hold the watch 12 o’clock side up and press the pusher and the date will advance with every click. Turn the watch with the 6 o’clock upwords and press the crown again. The day will change! How smart is that!? 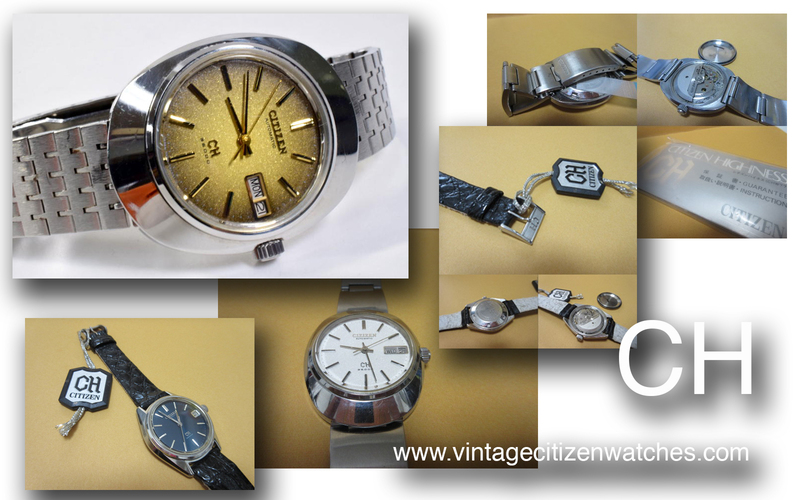 It is a rare watch, and full of interesting features. I wish it had a special case back (as the other special Citizen). Read more about Leopard range HERE.